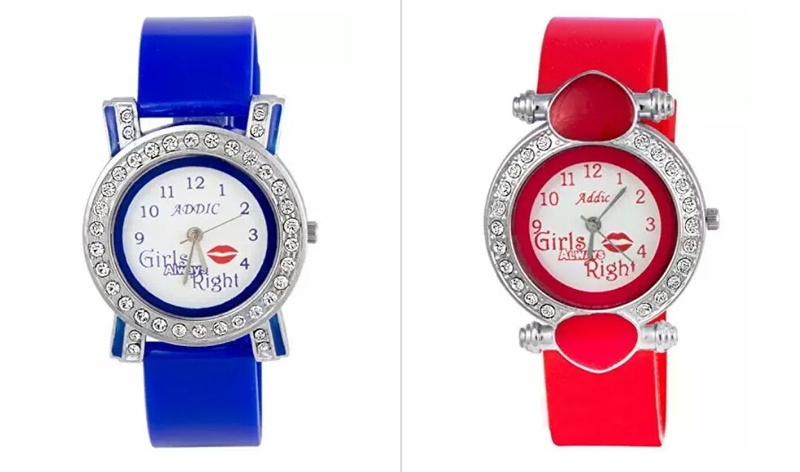 Addic Adorable Girls Favourite Crystal Studded With Hot Lips Watches Starting From Rs.99 Only From Amazon. "Girls Always Right" By Addic! 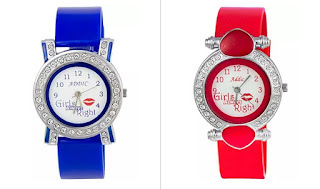 An Uber-Luxurious Range of Glamorous Watches for the Love Bug that you are! This one is a trendy all-weather, light-weight, immaculately studded watch from the Addic "Love Forever" Collection. Eye-catchy by design and bejeweled with pride, and its sheer power and outspokenness never fails to amaze! This watch makes a stunning gift for your beloved as well. Perfect gift for Valentines day or your sweet heart's birthday! • Pay or Order via COD.